Owner called to report tree limbs needs to be trimmed. Owner stated that tree crew has been on his street for the last 2 days and was told he needed to call in to put in a work order. Branches over hanging roof needs to be removed. Please assist. Issue 4875843 has been marked as a duplicate of this issue. Issue 4846901 has been marked as a duplicate of this issue. This company is doing work across the City. They requested that I, and others, move our vehicles that were legally parked on the street. There were no street signs posted indicating "No Parking." The company doesn't want to pay the City to post the "No Parking" signs. However, they rang my doorbell and demanded that I move my legally parked vehicle from the street so their truck could park in my space for the work they needed to do. The City should stop this company from forcing legally parked vehicles to move. Unless a "No Parking" sign is posted no one should be forced to move their vehicles. The company doesn't want to pay the City for posting the signs, but they still force legally parked vehicles to move from their parking spaces. How can this be allowed? The company is mobile. They're doing work all over the City. Thank you for posting this issue. 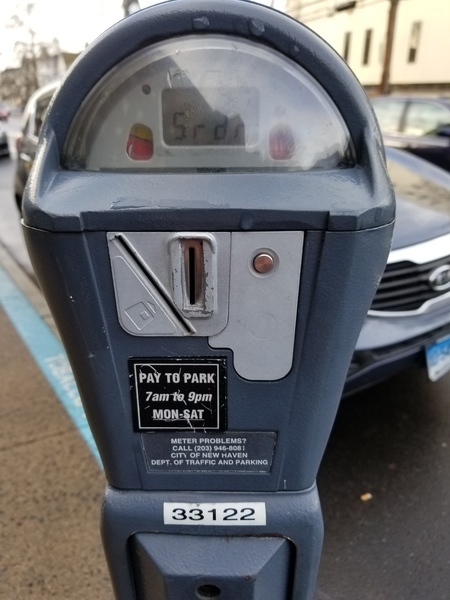 The Parking Meter Division has been notified. Issue 5113658 has been marked as a duplicate of this issue. This issue was recategorized from Stumps to Engineering Tree Request.